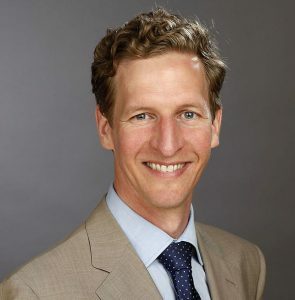 Peter Hommelhoff is Professor of Physics at Friedrich Alexander University Erlangen-Nuremberg and associate member of Max Planck Institute for the Science of Light in Erlangen, Germany. After receiving his Ph.D. from Ludwig Maximilian University Munich in T. W. Hänsch’s group in 2002, he was a postdoctoral scholar at Stanford University in the group of M. A. Kasevich from 2003 – 2007. In 2007 he was appointed head of a Max Planck Research Group (free floater), which he operated at Max Planck Institute for Quantum Optics in Garching/Munich from 2007 – 2012. In 2012 he finished his habilitation and received offers for full professor positions (W3) in Erlangen and Oldenburg. His current research interests focus on exploring laser acceleration of electrons with the help of nano-photonic structures, optical-field-driven phenomena at and in solids on femtosecond and attosecond time scales, and quantum-enhanced electron microscopy. He has received, amongst others, a Feodor Lynen Postdoctoral Fellowship of the Humboldt Foundation (2003), a Trimble Postdoctoral Fellowship of the Stanford Center for Position, Navigation and Time (2006), an ERC Consolidator Grant (2014), and three grants from the Gordon and Betty Moore Foundation (Quantum Electron Microscope I an II in 2012 and 2017; Accelerator on a Chip International Program in 2015, whose co-PI he is jointly with R. L. Byer from Stanford). In 2018, he was visiting professor at Stanford’s Physics Department and the local organizer of the DPG Annual Meeting and SAMOP Spring Meeting in Erlangen.